I feel like I've been seeing challenges everywhere.... ones that are sponsored by Wallis, Kmart, etc. I happily voted for all my favorite friends, and never thought I would be qualified to be part of any of these contests. 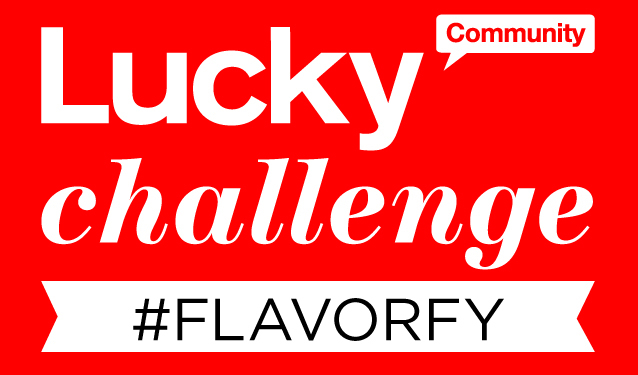 Last week I received an invitation from Lucky Community to be part of the Dasani Flavorfy challenge. I was super excited until I realized that they probably chose everyone in the community, plus anyone else and their grandmas can join too. Haha. What a clever PR technique! Fashion blogger dreams shattered again. Ah whatever, it was still fun anyways. The challenge was to assemble a colorful summer outfit inspiration to resemble one of their new Dasani water flavor enhancers. (Flavors below!) I decided to dress pineapple coconut. The only thing I am missing is a giant pineapple on my head to resemble the Chiquita Banana lady. 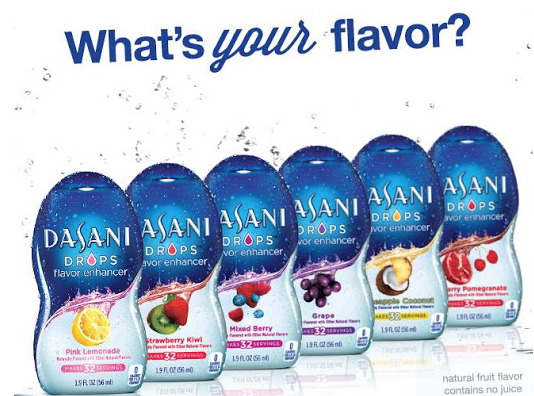 I'm a huge fan of water flavor enhancers because this was a lifesaver for me during my pregnancy with Grace. I was so nauseated I couldn't drink or eat anything for the first 5 months. Juice? VOMIT! Milk? VOMIT! Soda's? DOUBLE VOMIT! Even water... I couldn't stand the taste, even though it had no taste. At that time, there wasn't much variety like pineapple coconut or pink lemonade. Mio was a brand that had a few options to enhance the flavor of your water. It was surprisingly refreshing, so I am kind of excited to try these new flavors. Now that I have completely put myself out there as part of my first challenge, would you be oh so kind to vote? (Only if you like this outfit- obviously if you think it's hideous, please I beg of you to pick someone else!! :) Thanks so much! You guys are the greatest! P.S- to join this challenge, go here and VOTE HERE!! 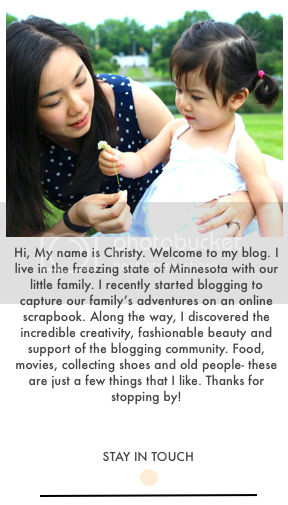 Are we friends on Bloglovin? congrats on getting selected for this challenge! 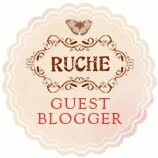 it's definitely a milestone as far as blogging is concerned. i also love this skirt -- the pattern is super cute and looks great paired with the light summery top. Gosh I love the skirt so much! It suits you beautifully. Christy, you look so awesome! I just voted for you doll. I'm glad you entered! I love your top & skirt! That yellow seersucker top is so pretty and I love the little map skirt! You look so precious. I have to try these. I've cut down my soda intake and this would help me with all of the water I'm drinking. Good luck to you doll! I adore your skirt hun, its such a cute and unique print, the entire look is wonderfully sweet! This is a great outfit, I really love your skirt! I voted! Pretty outfit, Christy! Just voted for you. :) Hope you're having a great weekend! Those photos of you and your daughter on the 4th of July are precious! I love your outfit! And that skirt is awesome!!! 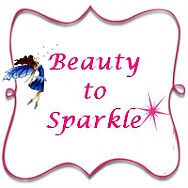 You look so lovely, I am having a giveaway on my blog come check it out!! Aaron's a lucky guy Christy! You look stunning! Voted! Thanks Phil! Cant wait to see you and Staci this weekend! What a fun challenge - it would never have occured to me to take outfit inspiration from something like a flavoured water, but it's true what they say; you can find inspiration anywhere :) I think you embodied the colour, and the effortless summery-ness, of pineapple coconut beautifully. I love to read your post, so much fun and full of love. Are you Chinese and a Mom as well? Your husband did a great taking your outfit pieces. I voted for you because I love your classic style. Thanks a lot Van for the nice compliment! awwwwww yay!! so cool you are on that contest!! voted for you!! can i vote daily?? Your skirt is so cute! Love your style! Hey babe, love this outfit you put together. hehe I can see the pineapple coconut inspiration behind it. Hey I voted for you! Good luck! This is such a pretty and feminine look - I'm especially loving that unique skirt. You look beautiful and I will gladly vote for you! This is such a put-together look. Love it! That skirt is really pretty! Unique print too! I love the pretty print on the skirt! Thank you so much for linking up! I love the unique pattern on your skirt! Such a pretty outfit. Loving the print of your skirt. What a lovely pretty outfit! You look great! These are such gorgeous photos, and I LOVE that skirt on you! you look so pretty and chic. I love the print of that skirt. And thanks for sharing the tip regarding the flavor enhancers, since it might help to future mothers. Where is the direct link of your look so that I can vote for you? so cute. what a fun skirt! Wow..love this skirt! Very retro-vintage vibe! You look lovely! I love lucky community, but it seems Lucky mag has a stereotypical "fashionable' image and only promote the posts that fit in to that mold! Hope you are having a wonderful day! I LOVE this outfit and want that skirt. So pretty! love ur blouse soooo pretty! xO! what a fun print on the skirt! 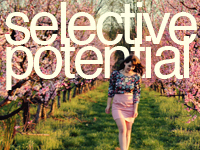 and standing in the flowers makes the outfit! so cute!